Chivas Regal the definitive luxury Scotch whisky (and official partner of the Cannes Film Festival) are increasing awareness of their brands social chivalry values with their partnership of the humanitarian Filmaid Partnership founded by Hollywood power players like Robert De Niro, Steven Soderbergh, Harvey Weinstein amongst others. 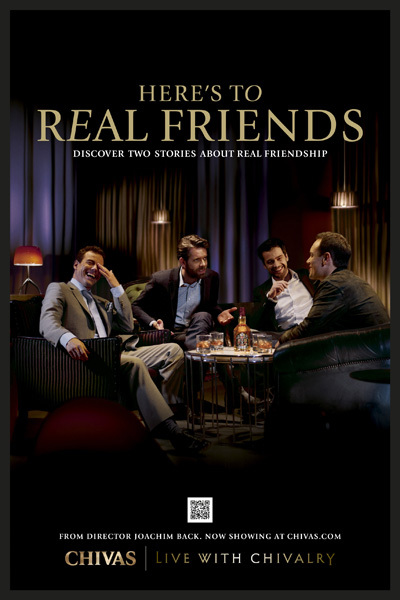 Along with their increased involvement in cinema Chivas Regal have partnered with Academy Award® winning short film-maker Joachim Back to make two cinematic films that focus on the trials, tribulations and idiosyncrasies of modern male friendships. The Chivas team have chosen The Establishing Shot as one of bellwether sites to exclusively release the extended teaser trailer for Chivas Regal's short films; Here’s to Big Bear and Here’s to Twinkle. Both Joachim Black's Chivas Regal shorts Here's To Big Bear and Here's To Twinkle can now be viewed on The Establishing Shot here: http://www.theestablishingshot.com/2011/10/establishing-shot-see-chivas-regals.html or at www.chivas.com. Joachim Black takes the audience through break-ups, breakdowns and good times and brings his trademark comic sensibility to celebrate real friends and the stories that bind them forever. The films form part of Chivas Regal’s ongoing Live with Chivalry campaign which launched in 2008 and encourages men to aspire not just to have more, but to be more. 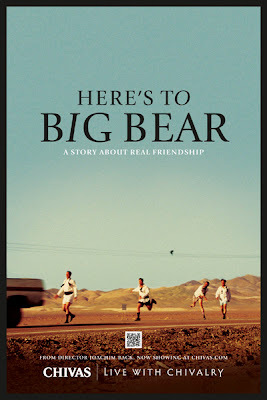 Film and Chivas lovers alike can raise a glass to Big Bear or Twinkle and discover the full story online at Chivas.com from 31 October 2011. An Oscar winning director, Joachim began his career as a teenager, working as a runner on feature films in his native Denmark. He soon transitioned into different technical positions, such as camera department, lighting department, and even in post-production as an assistant editor. Determined to get behind the camera himself, Joachim borrowed some equipment and began shooting his own commercials and spec projects. His comic sensibility got him noticed and in 1997 Joachim signed with Copenhagen’s Easy Film for commercial representation. In 2000 a spot he directed for MTV, ‘The Mouth’, was shortlisted for a Gold Lion at Cannes, and in 2001 he and two fellow directors founded the spot shop Bacon. After several very successful years, the team went its separate ways, and Joachim moved to the US where he signed with Park Pictures in 2004. Joachim has been working non-stop ever since, bringing his unique sense of humor and highly visual storytelling to many films and campaigns. He helmed the campaign that marked Viagra’s first foray into comedy, which became one of the most decorated campaigns in the industry. That year, Joachim appeared on the Gunn Report as one of the top ten most winning directors in the world. He’s been given top industry honors including ANDY Awards, ADDY Awards, CLIOs, and three Cannes Lions, among many others. Recently, Joachim directed the short film, The New Tenants. 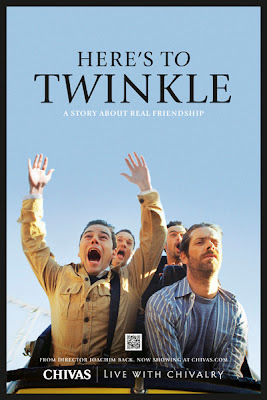 The film won the 2010 Oscar at the 82nd Academy Awards for Best Live Action Short. It has also been an official selection at various film festivals around the world. Joachim lives in Brooklyn with his wife and two children.